• Corporate social responsibility is made for organizations to engage in a meaningful social- impact activity or accompaniment to their larger corporate initiatives. Different organizations are finding ways of engagement through many avenues. • There are different ways we see corporations try to evolve their bottom line to encompass social giving whether that be through volunteering or other ways. What do you think is the most beneficial way corporate entities can give back to communities? 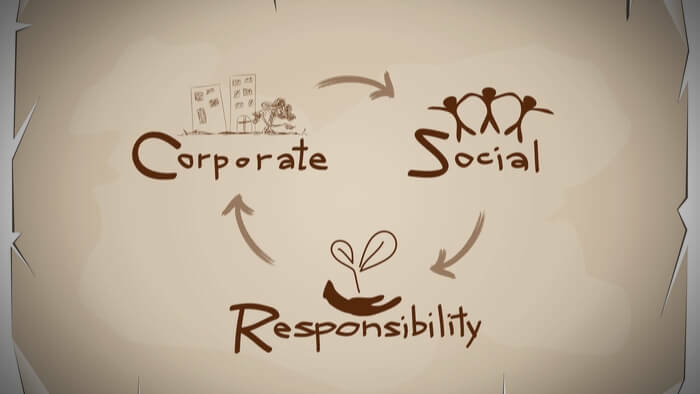 • Learn more about why corporate responsibility matters and how it relates to the purpose of a company. In recent years, we have watched CSR evolve from a luxury to a priority for organizations of all sizes. Companies are increasingly venturing beyond their own walls to advocate for solutions around issues such as education, environment, poverty, equal and human rights, and other issues. They are taking philanthropy to a level of engagement, providing ways for employees to donate or volunteer on behalf of their workplace. Start with simple donations- Start with small opportunities for employees to give back, such as enabling employees to support special causes or give back in a time of need to disaster relief campaigns. Use surveys to help choose partnerships-When choosing which nonprofits to partner with in order to provide donations, giving your employees choices is a smart move – but it’s also good to highlight reputable nonprofit partners that align with your company’s mission in that process. Foster (team and paid) volunteering-Explore local charities or nonprofits to partner with (especially if their causes align with your company mission) in order to set up a regular volunteering partnership. Keep employees informed-Today’s technology has made communication easy; when employees know when, where and how to participate, they are more likely to do so. Recognize your champions-Recognize top employee giving and volunteer participation. We all want our staff give and volunteer out of the goodness of their hearts, but it is also important to recognize their contributions. Interested in learning more about Corp Giving and CSR? Other readers at Giving Compass found the following articles helpful for impact giving related to Corp Giving and CSR.